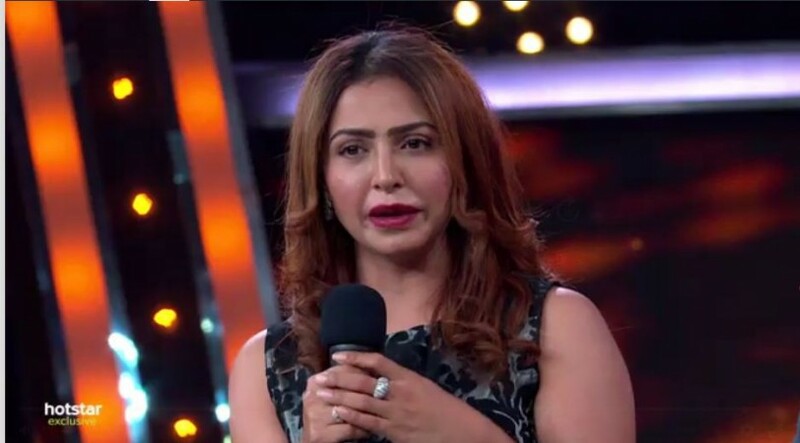 Bigg Boss Telugu 2 elimination Live updates: Nandini Rai, who was evicted from Nani's show, bid good bye to all the housemates. Actress Nandini Rai has been eliminated from Nani's TV show Bigg Boss Telugu 2 in the eighth week, while Kaushal, Babu Gogineni, Ganesh and anchor Deepthi remained safe from eviction. 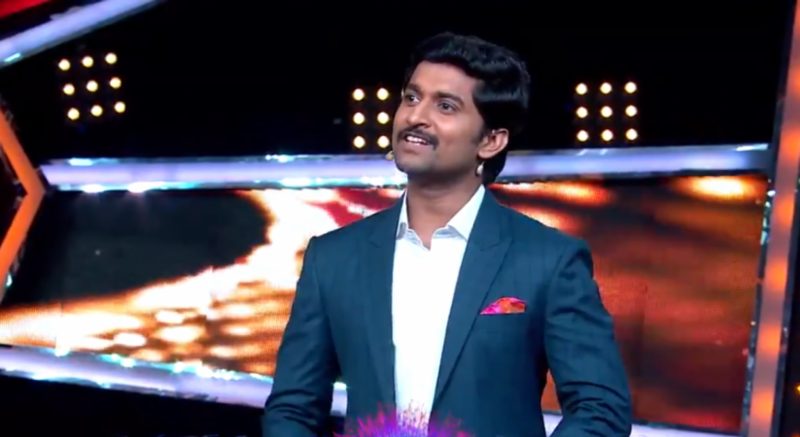 Nani entered the Bigg Boss Telugu 2 stage with an electrifying performance and went on to narrate a story of one of his best friends. The host shifted his focus to Naa Nee TV and wished happy friendship day to all the housemates. Later, the housemates were shown the videos of their best friends' wishes and were made to share their best memories with those friends. It was really a fun and emotional exercise inside the Bigg Boss Telugu 2 house. Nani welcomed Madhu Shalini, Rahul Ravindran, Supriya Yarlagadda and Adavi Sesh on Bigg Boss Telugu 2 to promote their movies Chi La Sow and Goodachari, which were released in the cinema halls on August 3. All the housemates were all thrilled to receive them and were seen bonding big time with them. Later, Nani announced that Ganesh and anchor Deepthi were saved from elimination from Bigg Boss Telugu 2. He asked Nandini Rai to pack her bag and come on the stage. Nandini Rai left the house after bidding an emotional goodbye to all and came on the state. After watching her AV, she spoke to the host dropped big bomb on Roll Rida. According to this bomb, Roll has to give head massage to all the housemates. 10.37 pm: Nandini Rai drops Bigg bomb on Roll Rida. According to this bomb, Roll has to give head massage to all the housemates. 10.17 pm: Ganesh, Deepthi is saved from elimination and Nandini Rai is evicted. Nandini Rai bids a bye to all her teammates in Bigg Boss Telugu 2. The teammates share 'Oppo' selfie moment before Nandini Rai leaves the show. She joins Nani on the dias. 10.10 pm: The teams of Chi La Sow and Goodachari promote their movies on the dais of Bigg Boss Telugu 2. Both the team creates a gala environment. Rahul Ravindran is seen greeting all the members of Bigg Boss Telugu 2. Supriya Yarlagadda and Adavi Sesh greets all the teammates. 10.00 pm: Nani welcomes the team of the latest Telugu movies "Chi La Sow" and "Goodachari". Bigg Boss Telugu 2 contestants cheer up on the teams of Chi La Sow and Goodachari. Geetha Madhuri gets to have a conversation with heroine Madhu Shalini. 10.03 pm: Deepti Sunaina's friends wish her all the best, Nani tries to pull her legs. When Deepti Sunaina shares about her bestie, Nani tries to be sarcastic by stressing on the question if he was just a friend to her. She is seen blushing. 9.45 pm: Tanish's friend is seen sharing an emotional message. Nani tries to interact with Tanish regarding his memories with his friends. Tanish shares an emotional message about his friend and thanked Nani for being a huge support in his life. Nandini gets emotional watching her friends wishing her. Nani and the other teammates made witty comments. 9.40 pm: Babu Gogineni's friend conveys a sweet message about friendship. Babu Gogineni shares a memorable incident from his past. Kaushal's friend conveys friendship day wishes and Kaushal shares a memorable experience with all the teammates. He thanks his friend for being such a huge support in his life. Deepti's friends are seen wishing her a happy friendship day. Deepti shares a memory and Nani makes witty comments on her. 9.35 pm: Shyamala's friend wish her and she shares some sweet memories with him. Then comes Roll Rida's friends. He shares a memory from is past, Nani pulls his legs by trying to imitate him. The teammates and Nani are seen laughing out heavily after Roll Rida shares his funny stories. 9.25 pm: Geetha Madhuri's friend Parnika wishes her all the best. Geetha Madhuri shares a comical memory with her friends. It was worth a few laughs. 9.18 pm: Pooja Ramachandran's bestie Soumya greets her on the occasion of friendship day. Pooja shares some cute memories with her friend. Nutan Naidu's friend wishes him and Nutan is seen sharing memories with Nani and the teammates. Ganesh gets emotional on watching his friends greet him. Ganesh shares his memories with Nani and the teammates. 9.15 pm: Amit is given a sweet surprise, as Nani plays a video in which his friend is seen greeting him. Amit shares his memorable stories with his friends. The housemates are seen enjoying the conversation. 9.13 pm: Samrat's friend also wishes him via the video byte played by the makers of Bigg Boss Telugu 2. Samrat shared an experience which made everyone a little emotional. Samrat is seen getting emotional. 9.10 pm: Nani wishes the Bigg Boss Telugu 2 contestants a very happy friendship day. Nani gives a pleasant surprise to the contestants of Bigg Boss Telugu 2 appearing at the Bigg Boss house. Though he doesn't make an entry, he stands on the terrace and wishes them. 9.00 pm: Nani enters with an electrifying performance. Nani starts off with the narration of an incident related to the friendship day. Nani gets emotional while he narrates, as he goes back to the time when he had met with an accident when traveling with his friends on a highway. He concludes with friendship day wishes. Focus shifts to 'Naa-nee' tv. It was announced by Nani that the contestants, Babu Gognineni and Kaushal Manda, are in the safe zone, escaping from the eviction which is to take place today. With Bigg Boss Telugu 2 contestants Deepti Nallamothu, Ganesh and Nandini Rai in the nominations for today's eliminations, the episode is going to be quite entertaining. Bigg Boss Telugu 2 contestants Nandini Rai and Ganesh are likely to be eliminated from Bigg Boss Telugu 2's eliminations for the eighth week. Going by the elimination prediction poll had conducted earlier, Nandini Rai and Deepti had got the majority votes in the elimination predictions. Kaushal, Babu Gogineni, Nandini Rai, Deepti, and Ganesh were nominated for the elimination round earlier this week. It was made clear that Kaushal and Babu Gogineni are safe from the week's elimination.